– Sides of Pumpkin, Sweet Potato, Potato, corn & Asparagus. Using the above chicken I also made a chicken salad. Simple dressing of Lemon, dried oregano, olive oil & salt. Beef stew with a side of brown rice & Quinoa. Everyday we will alternate what we preferred for lunch and dinner, just so we are not eating the same thing every day. 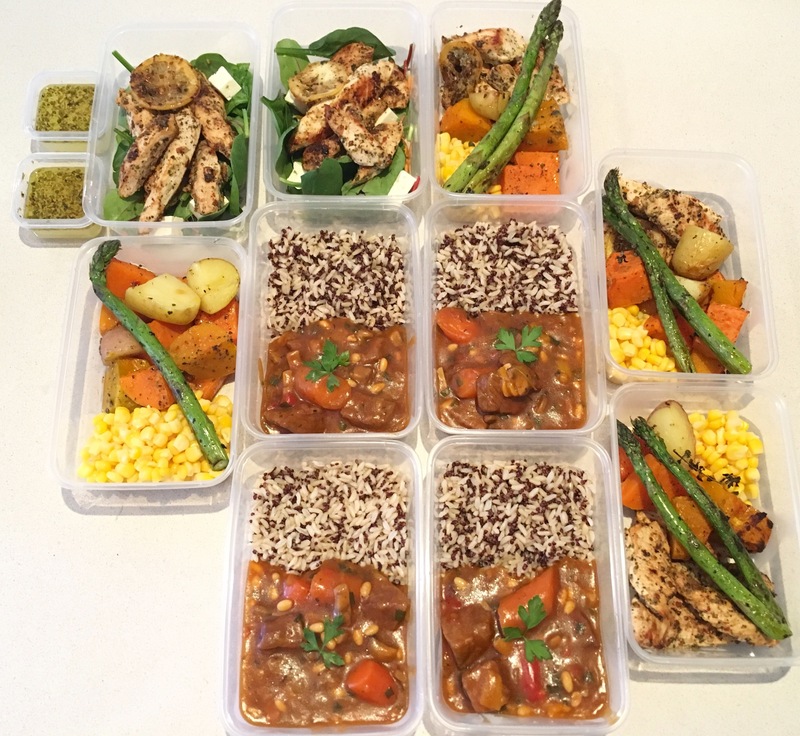 I prepare meals for approx 3 days, I store them in the fridge heat them up when needed and they taste delicious every single time. Both my husband and I personally don’t like the whole freezing cooked meals in the freezer, but I do premarinate proteins and freeze them and just allow them to thaw once ready to be cooked. – Use a zip lock bag fold it over a small bowl and place the chicken marinade and chicken into the bag, seal it well and then shake the bag allowing the marinade to coat the chicken evenly. This is a mess free way when meal prepping. For the beef stew I literally only used the continental recipe base called ‘Beef Stew’ I purchased this from coles. I used diced beef however, Lamb back strap will also be delicious in this dish. Previous Post Cottage Flowers in the garden!